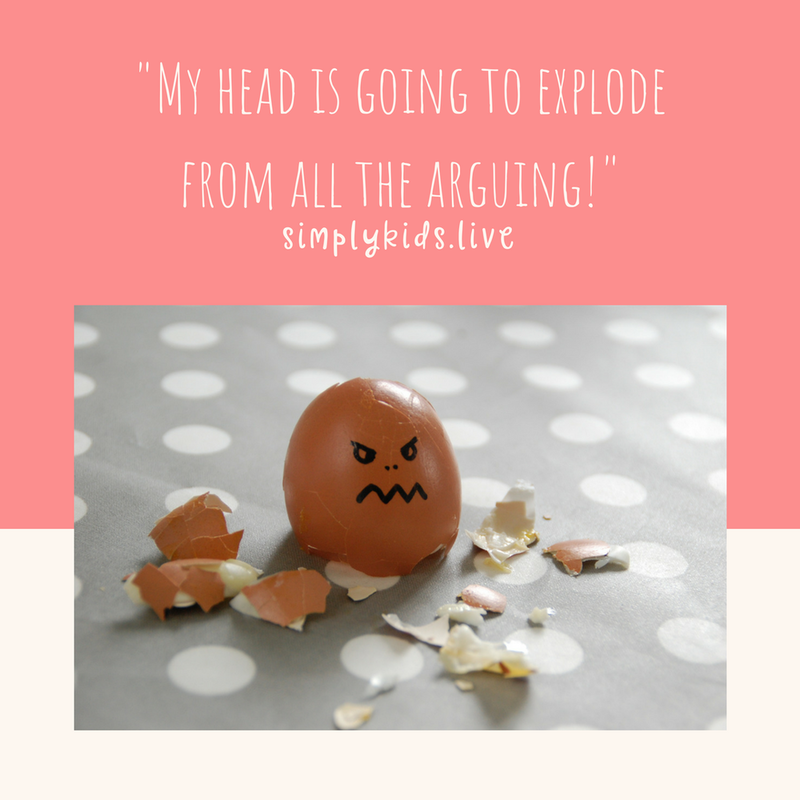 Ever feel like your head is going to explode from all the arguing and bickering between the kids? Fighting triggers an emotional reaction in all of us; here’s why. I was talking to a mum last month and she was sharing with me how her children fight and rough house a lot, especially in the evenings after school and before bedtime. Her husband, who would be exhausted from work, would get home, hear the children fighting and just start yelling at them. He would lose his temper very quickly, either sending the kids to timeout or separate them into different bedrooms, making for a very unpleasant evening. She wanted to know how they could change their approach so that their evenings were enjoyable and the children fought less and the parents felt less triggered. So, what I want to do is take a moment to talk about our emotional reaction to children fighting, to aggression and really just to all problem behaviours. When we experience a challenge or a difficult behaviour, such as defiance, aggression, disobedience or tantrums, and when we do not know how to react or why it’s happening, it places the trigger on the brain called a stressor. In health psychology a stressor is defined as anything that interrupts the expectations of the brain or anything that rouses uncertainty. When we experience something that we don’t immediately know the solution to, that is a stressor. That moment when we go, “Oh sh*t”: that’s a stressor. When the brain experiences a stressor, it stimulates the midbrain. The midbrain is where we keep our emotions, past memories and feelings of discouragement. Once our midbrain is stimulated and all of our emotions are kicking in, it’s very easy for our midbrain to trigger the brainstem. The brainstem is where the fight, flight and freeze responses are stored. Let’s look at it like this: let’s say that you’re walking through the woods and you hear a hiss. You stand still, you freeze, your eyes widen, you stare at the ground looking for the culprit of the hiss. Your brain is on red alert: you’re now looking for danger. The brain seeks potential danger in order to put space between you and harm. This is natural brain development because the main function of the brain is to keep you safe. or bills not being paid. We are going to experience stressors - many stressors - every day. And the brain’s natural reaction is to seek out danger. Next thing you know, you’re snapping at your four-year-old to stop throwing things in the living room or to be nicer to his sister. After you’ve lost your cool, you’re feeling regret. You feel bad about yelling. You’re not even sure why you were so angry. This is all natural brain work and it’s why we get so angry when the kids are fighting or not listening. Successful relationships, including relationships with your children, all begin through intentional living. While it is natural brain work to fall back to reactive emotional behaviour, I want to explore with you the impact that self-control and intentional parenting can have on your home. Reactive thinking is easy. It’s easy because the brain’s main function is to solve problems the quickest, easiest way possible. Your brain preserves energy for survival. Remember, the brain’s ultimate job is to keep you safe and keep you away from harm. The best way to do this is to make decisions based on past events and fall back onto reactive habits. This is why getting emotional, angry and frustrated quickly is common. Most of us experience quick frustration and quick annoyance. How often do we all say, “I lost my temper”? The phrase “I lost my temper” is the perfect example of how our brains are naturally reactive. In order to keep us safe, we draw on information that we’ve already experienced and take it with us into future decisions. Unfortunately, this line of emotional thinking is what turns into emotional baggage which will affect our future decision-making processes (not always for the good). Understanding our primal brains in this modern age is the key to creating a calm, happy home. Smacking, Pushing, Scratching! Why do children become aggressive?